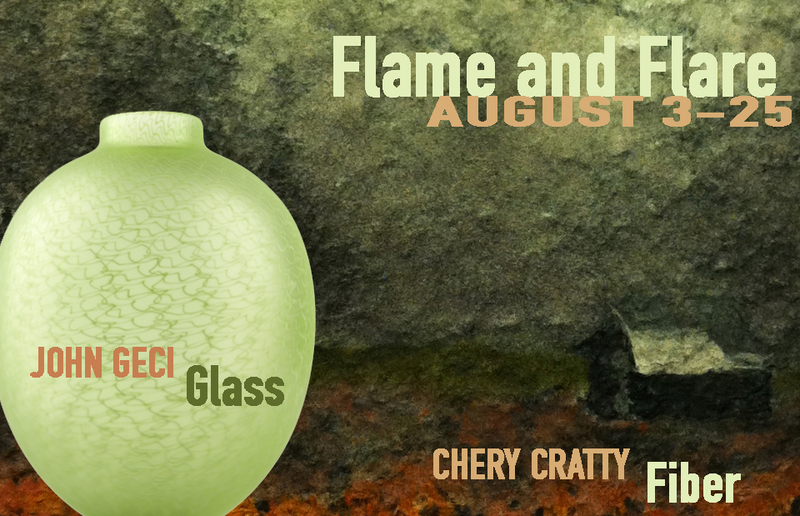 Flame and Flare, an exhibition of Glass and Fiber, features the vibrant blown glass vessels of John Geci and colorful, textured, paper pulp landscape paintings of Chery Cratty. John Geci, of Bakersville, NC, has been an Exhibiting member since 2005. Chery Cratty, of Smithville, TN, has been an Exhibiting member since 2008. The exhibit opens during our monthly Gallery Hop on August 3rd from 7 till 10PM, and will remain in the gallery through August 31st.